A much beloved Polish tradition is the "blessing of the Easter baskets," when a sampling of Easter Sunday food is arranged in a basket, then brought to church to be blessed on Holy Saturday. 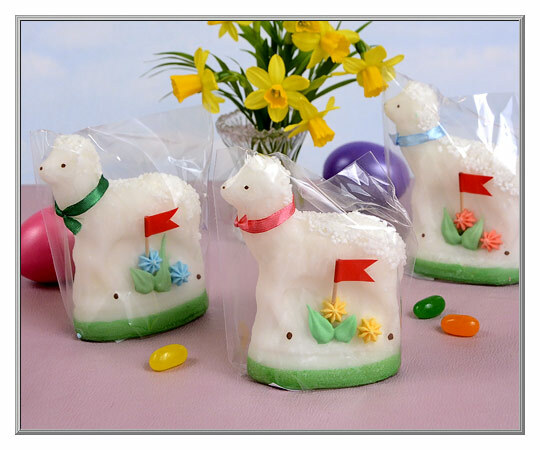 These pretty, sweet sugar lambs are made especially for children to tuck in their own little baskets to be blessed, and then enjoyed on Easter Sunday. 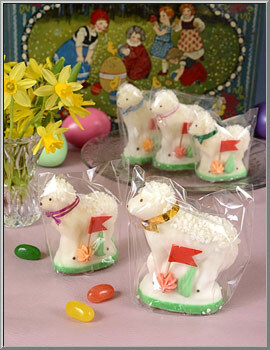 A darling, decorative candy for any Easter celebration, the ribbon collars come in a variety of colors. From Poland. 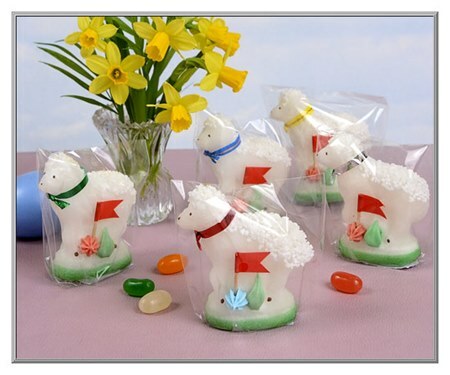 Sold as one sugar lamb. 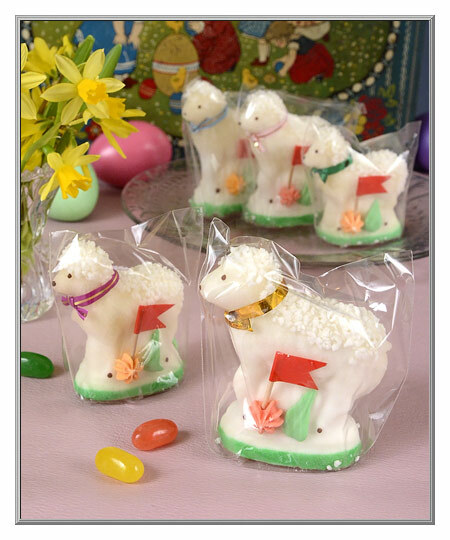 our candy lambs for Easter 2019. 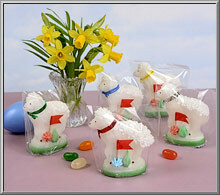 Candy lamb is 3¼" high by 3" wide. 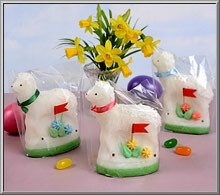 Candy lamb is 4¼" high by 3½" wide.